Buy Treats and Help Senior Pets! Who wants a treat? A treat that helps save senior pets? We do!! 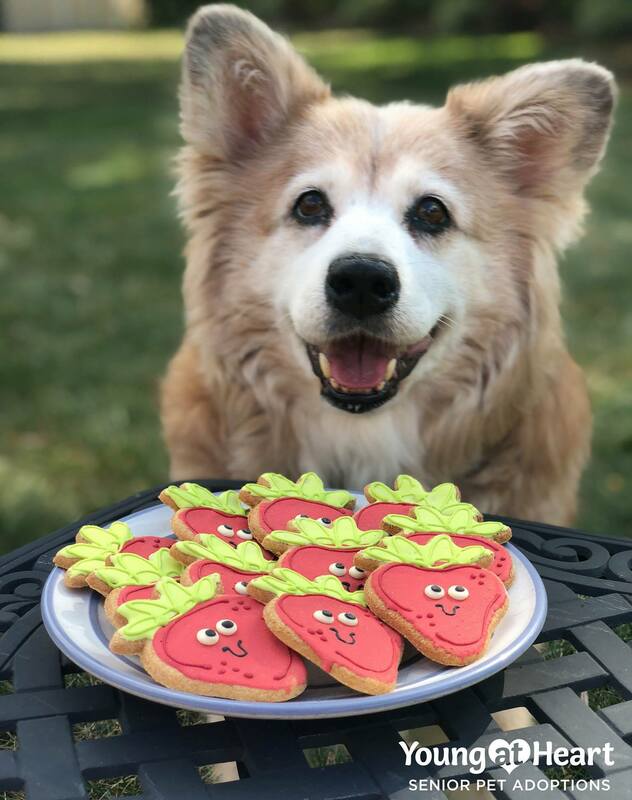 We're so excited that now through August 28th, Treat Me Right has these "Berry Sweet" dog treats available as well as other goodies on their site to help our senior pets! You can purchase ANY treat item from their website and they'll donate anywhere from $1.50 to $8 per item back to Young at Heart! You can choose to send our senior dogs treats, too! Go order your pup's treats now at www.treatmeright.org/box-it-up and share this PAWsome news with your friends! PS - Young at Heart Alum (and our director's senior dog!) Lizzie Lou LOVES these treats!! And she's a suuuuuper picky eater! She gives them four paws up!